Cinema Casino is a renowned online gaming and betting site developed and established last 2004 by its owner, Vegas Partner Lounge Casinos. It has received great reviews and compliments from its online players for its Hollywood and Vegas inspired site interface. The site's main page feature images of famous Hollywood celebrities, as well as a red carpet feel on their players. On the other hand, their games exhibit the impressions of Vegas games. This gaming site is duly registered and licensed by the government of Malta. Cinema Casino's games are provided by their software supplier, Microgaming Viper. These featured games range from classic card and table games, roulettes, video pokers, interactive slot machines, and many more. However, the site boasts its movie-themed games, which garnered a lot of players, as their prime game selection. The site also assures to provide its players with high-quality, great gaming graphics, and huge amounts of jackpots. These movie-themed games include Tomb Raider, Battlestar Galactica, Hellboy, Hitman, The Dark Knight, and a video slot game featuring The Osbournes wherein players can experience the playing the game with the reality show's main cast - Kelly, Jack, Sharon, and Ozzle. Some of their table and card games include different variants of blackjack games, craps, roulettes, and a lot more. 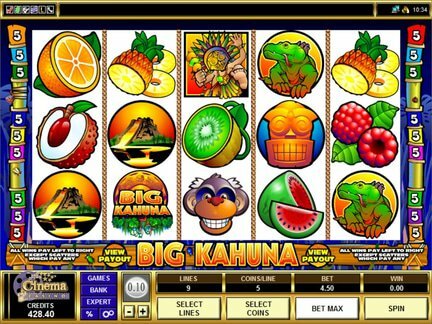 The site also has classic three and five reel slot games, fruit slots, video slots, and progressive jackpot slots where players may win huge amounts of jackpots. It also provides its players with a variety of bonuses and promotions. New players are granted with a 100% welcome bonus wherein they can earn $200 at most. They are also given 50 free spins for one of the site's featured games. The site also offers a Free Play bonus to its new players who want to try out first the games before making their initial deposits. This promotion gives a player the chance to discover the game's gameplay before spending their real money. The company also hosts daily, weekly, and monthly gaming tournaments for players to earn more rewards and bonuses. Loyalty incentives are also given, which usually amounts to 250 loyalty points, to its new players instantly. These points are redeemable as free game tokens. Players earn more loyalty points as they play more games in the site. For every $10 bet, a player earns 1 loyalty point on their account. Despite all of these features, the site still receives complaints from its players which involve frozen accounts, bonus claiming problems, and slow customer support. Nevertheless, the site guarantees that these issues will be resolved. However, the site recently closed down and merged with its sister gaming site, Maple Casino. This sudden change on the site's management brought confusions to its players. But the site assured its players that their accounts are still up and available at Maple. Cinema Casino truly upholds its promise to bring a seamless, interactive, and unique gaming experience to its players. Although the site's already closed down, it continues its one-of-a-kind gaming experience online through its new mothership which earns them a 4 out of 5 rating.